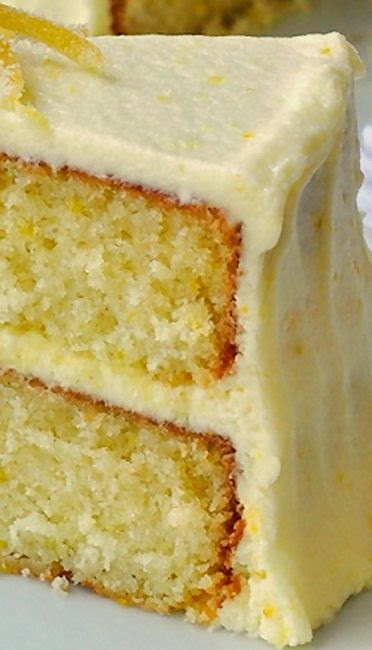 Lemon VeIvet Cake | FoodGaZm.. I made this recipe for a birthday cake for my mother in law this weekend. Everyone loved it! This will now be my go to recipe for lemon cake. The cake was tender in texture and flavourful. I did substitute the lemon extract with a lemon baking emulsion though. I multiplied the recipe 1.5 times and got two 2″ high 8″ rounds. The cake held up well to being covered in ganache and fondant. I’m looking forward to trying to stack cakes with this recipe, and the other variations. .